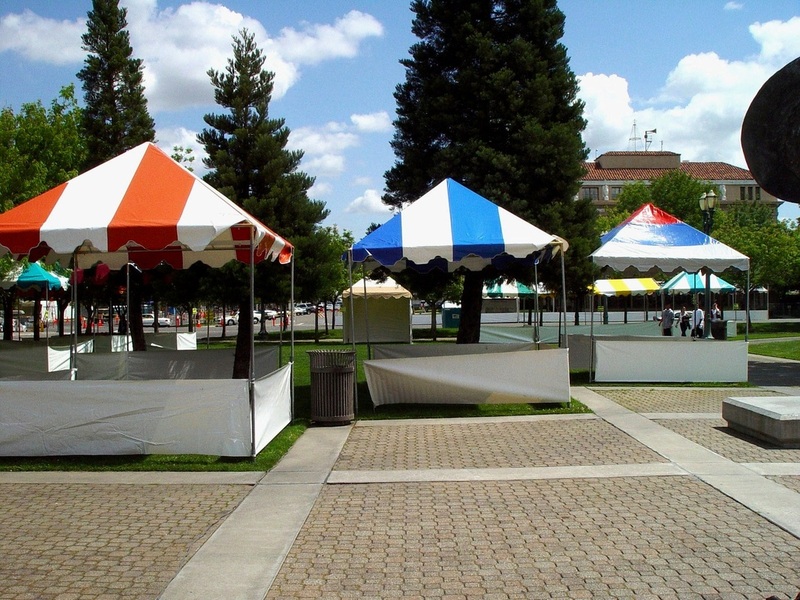 All of our Tents meet California Fire Marshall Flame Retardant Requirements & Complies with Health Department Regulations. 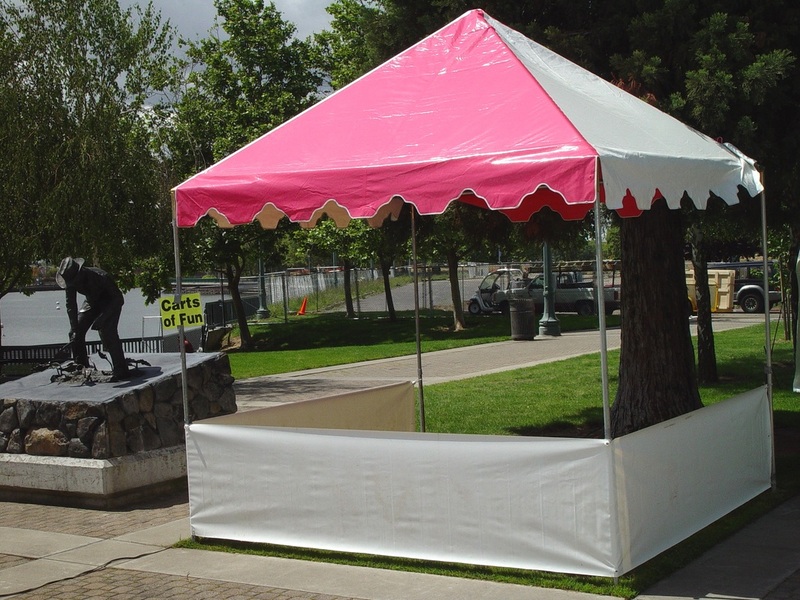 Many of the tents above are available to purchase TODAY! This is our Diamond Top style of Vendor Booth in a 10X10 size. These can be ordered in a number of custom colors & stripe combinations. 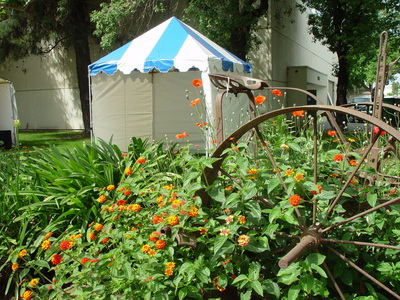 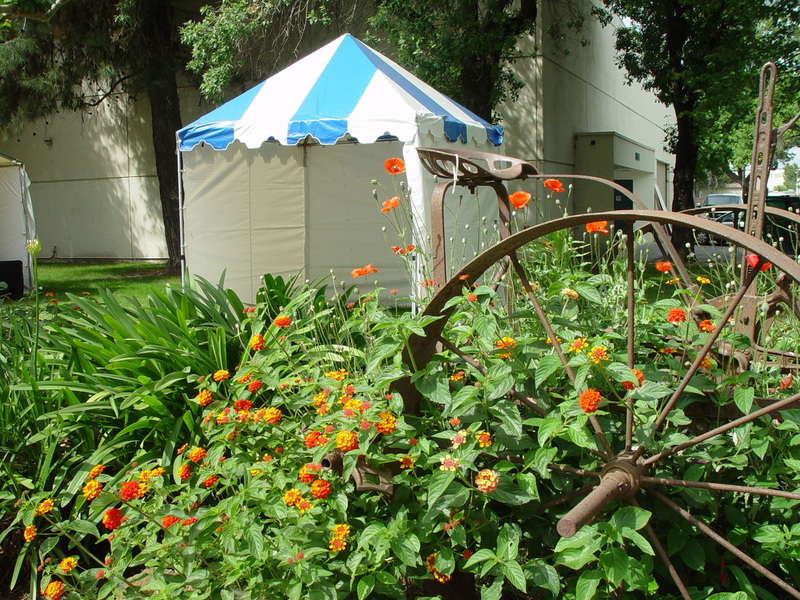 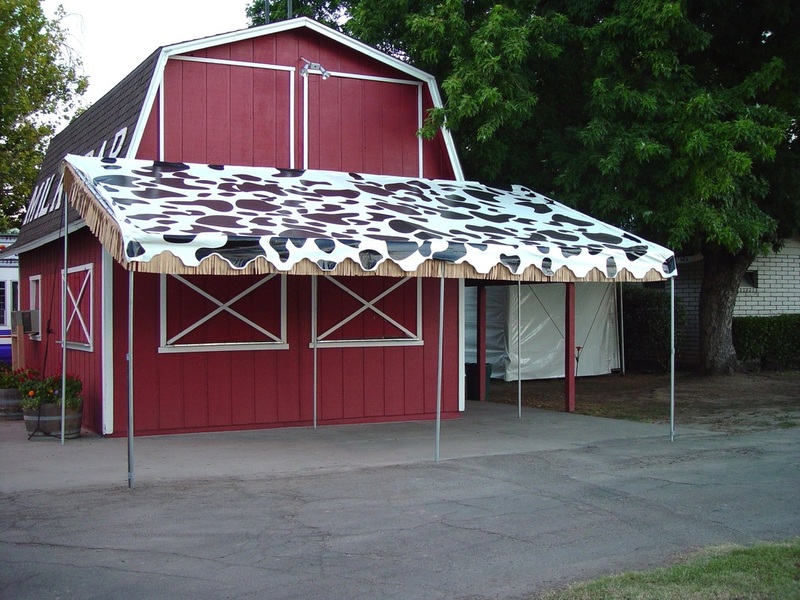 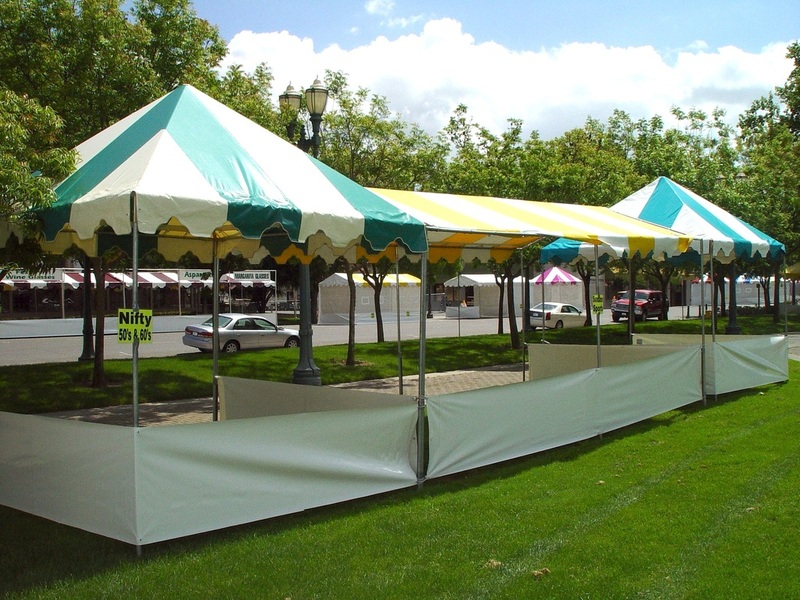 We currently have an overstock of tent tops that have been used in our rental fleet. 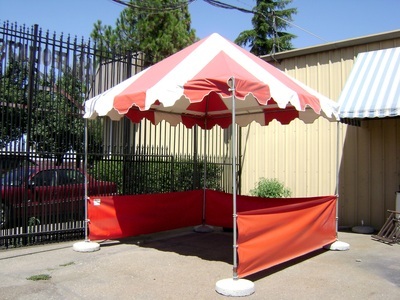 They are in excellent condition and ready to ship! 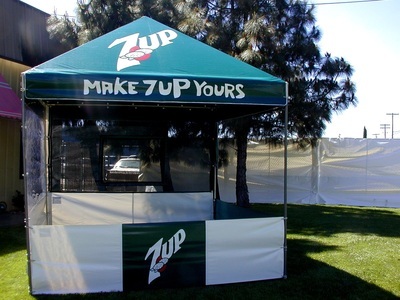 Add a logo to your tent! 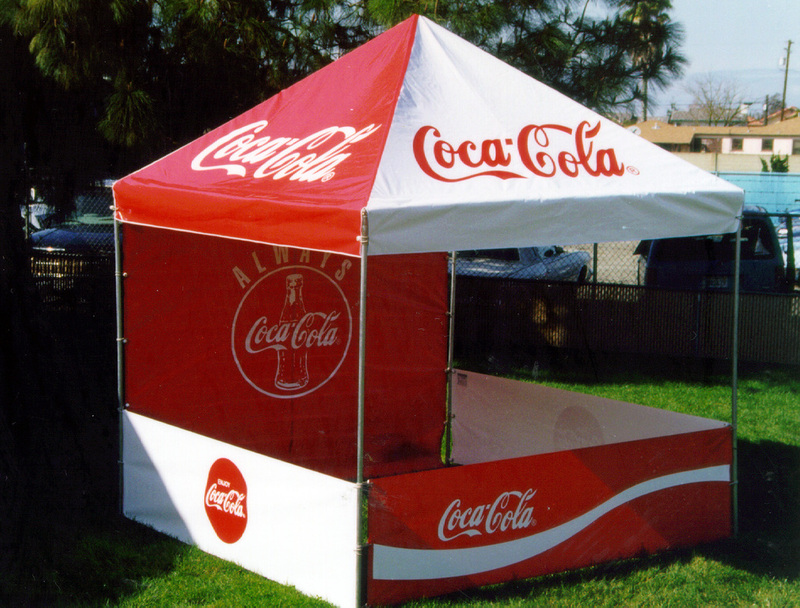 Get Your customers attention by adding your logo to advertise your Products! Customize your booth with your logo or graphics on the tent top, valance, walls or a separate banner. 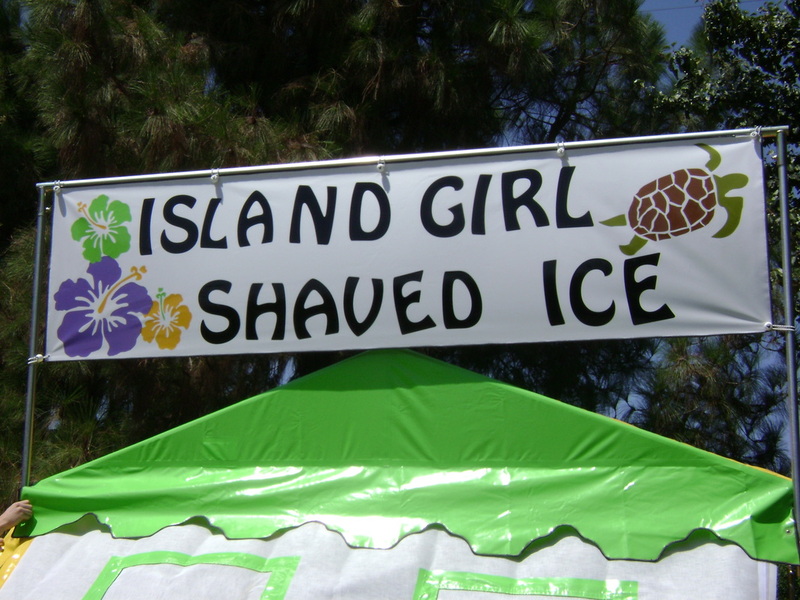 Our graphics department can design and apply the graphics. Please contact us for pricing.